Marketing and sales are often seen as two separate functions of a business, yet both rely on the other to show measures of success. Marketing needs sales as a metric for establishing ROI and sales needs marketing to reach the appropriate customers, providing the lead toward an ultimate purchase. Therefore, creating a strategy incorporating both marketing and sales in alignment with your business’s goals is an intelligent way to ensure strong results. For marketing and sales to effectively cooperate, they must rely on excellent and clear communication to understand the objectives of the other and how it benefits the overall business. Creating a marketing strategy involves a linear, step-by-step process we’ve begun preparing in the Delve portion of the ENDREA Method™. Two steps, in particular, were identifying the perfect target market and conducting competitor research. At this stage, it’s important to solidify your company’s value proposition and differentiating factors. Meaning, what sets your business apart in an industry or category filled with other options for your ideal customer. Being able to fully articulate this will influence what marketing tactics you’ll use to execute the strategy. 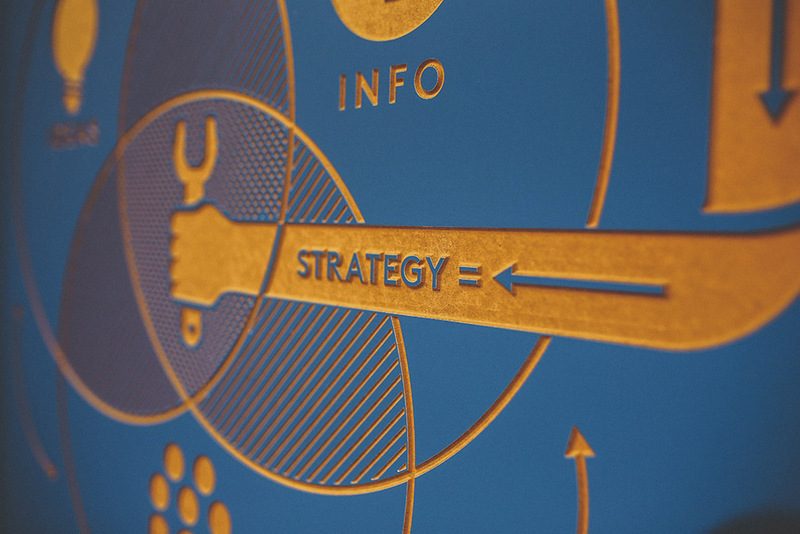 These important facets of the marketing strategy will also impact the sales strategy. The sales team is responsible for moving products or services to customers and getting them to make a purchase. Typically, sales will utilize leads provided through marketing efforts to help with this process. A salesperson’s responsibility is to develop relationships with individual customers and understanding their unique needs and how to fulfill them with the business’s products or services. 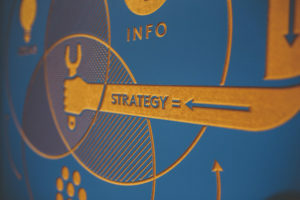 Sales strategies based on individual customer buying histories are proven to be some of the most powerful and effective. Gathering insights from individual customer preferences and attitudes is key in developing this type of strategy and it allows a business to customize its sales and marketing efforts. Increasing sales in an existing market is one of the most efficient ways to grow your business. This is achieved by knowing your customers’ buying histories and motivation for why they buy from you rather than a competitor. A common term in sales is “Buyer’s Journey”, which takes an in-depth look at the steps a person takes from prospective customer to a sale. A buyer’s journey involves documenting each step a person takes before becoming a customer. It’s done by plotting out each interaction a potential customer has with your company before making a purchase. A good tip is to start at the end: what does the customer do immediately before signing a contract or buying from you? From there, you can backtrack to each interaction they have with your company, noting their main questions and concerns, motivations and potential objections. Buyer’s journey is typically defined by having three steps or phases: discovery, consideration and decision. At each point, it’s vital to identify the content and/or communication necessary to meet consumers’ needs and prompt them to continue the path to making a purchase. This is where sales and marketing must work together in establishing a powerful strategy. Sales and marketing must examine how potential customers become aware of the company, how they become a lead and how they ultimately become a sale. Next, both teams will determine whether or not they have the appropriate assets to meet audience needs along the way. This can include items such as whitepapers, case studies, infographics, assessments, and other relevant types of marketing collateral. Having this list at each point along the buyer’s journey helps to identify where the business is sufficient in its consumer communications, and where it’s lacking and in need of certain material and tactics. Integrating marketing and sales into a comprehensive strategy ensures goals will be met and the business can grow. By having both functions work together to identify customer’s individual needs and wants throughout stages of a buyer’s journey, a business can effectively provide the consumer with a product or service they need and continue to grow the business.